Each time I think about this campaign, this blog post takes a little bit more shape. You got us marketing gurus. You tricked us all. Hell, even I used the #likeagirl a few times on my social media posts right after the campaign first geared up in Super Bowl commercials. Then I really sat down and thought about it. I mean, really looked at the campaign as a whole. I get what they’re trying to do. They’re trying to give a voice to the female gender. Trying to tell us women that we can do anything that a man can do. I get it. However, the approach? Skewed. Slightly messed up. The campaign asks girls, if doing something like a girl was a bad thing. Which all felt it was, even if they were unsure. 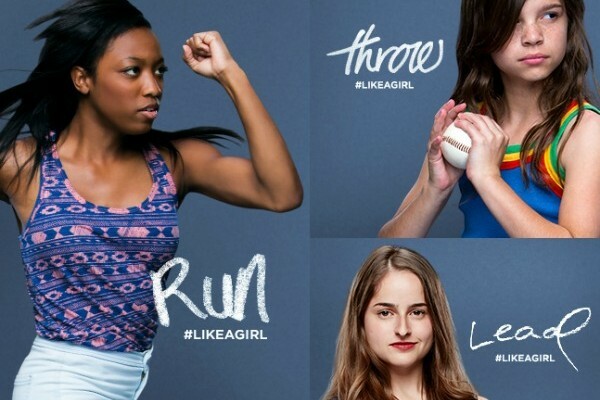 But then, the campaign has photos of girls doing things, with the hashtag #likeagirl. Do you see what’s going on here? It’s continuing on with the gender stereotype. The “You throw good, for a girl,” as said by one of my male friends in my teenage years. Or even “You kick like a girl,” said by my well meaning husband when I finally got back onto the football pitch after having our baby. No. I lift. I run. I’m strong. My gender, your gender, has absolutely nothing to do with it. NOTHING. Do you hear me ladies? So please, stop using that hashtag on your fitness posts. You flex. You have muscles. You clear those hurdles on the track course. You do it, because that’s what you do. Not because you’re a girl. You don’t do it like a girl, you do it like a human being. Break down the barrier. Kick it in the teeth. Grab the bull by the horns. Changing the view of food. No weight-loss magic here.